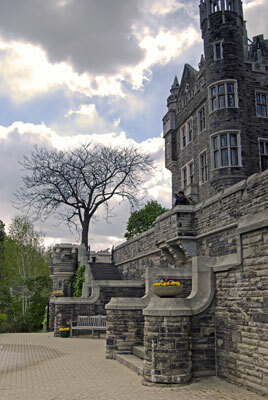 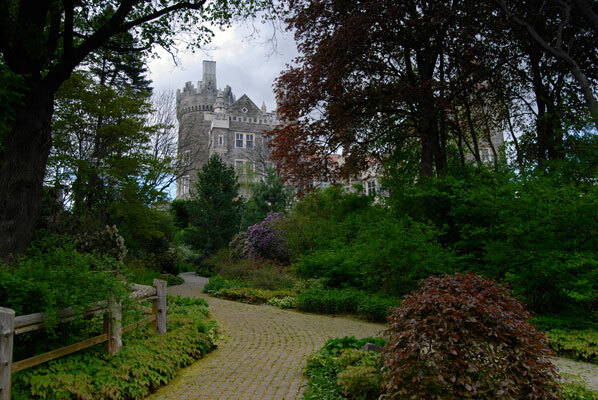 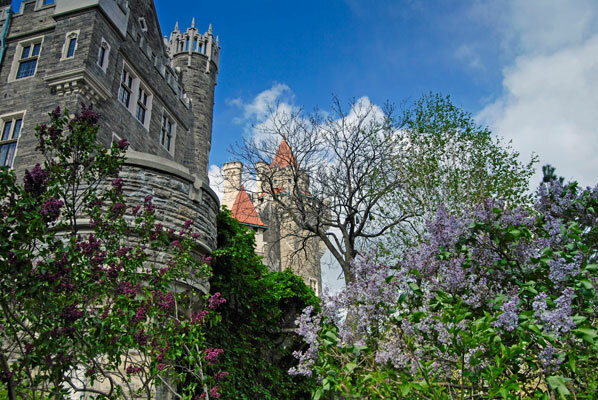 When I was a kid, my parents would sometimes drive past Casa Loma’s stone walls and I wondered what mysteries were hidden behind them. 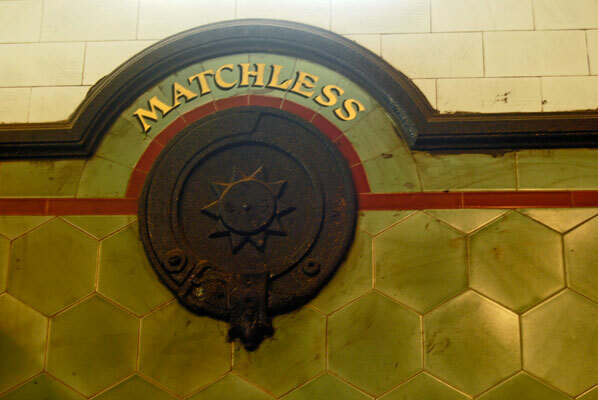 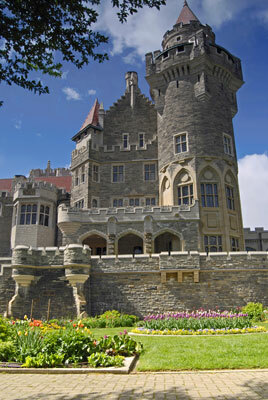 Recently, I finally visited and found out. 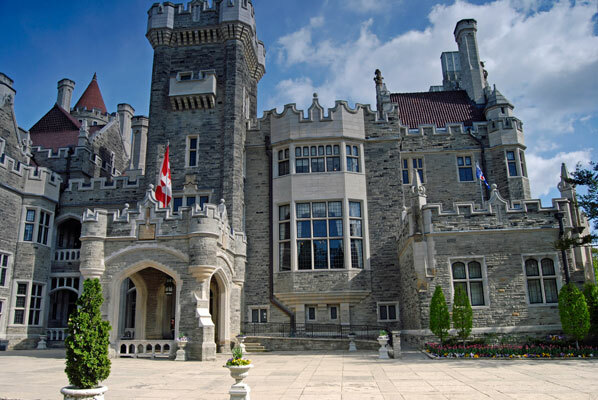 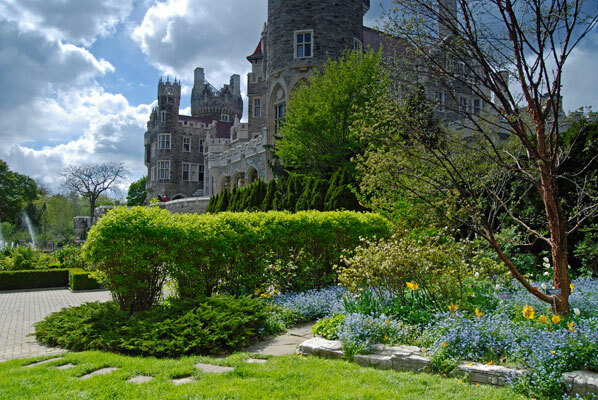 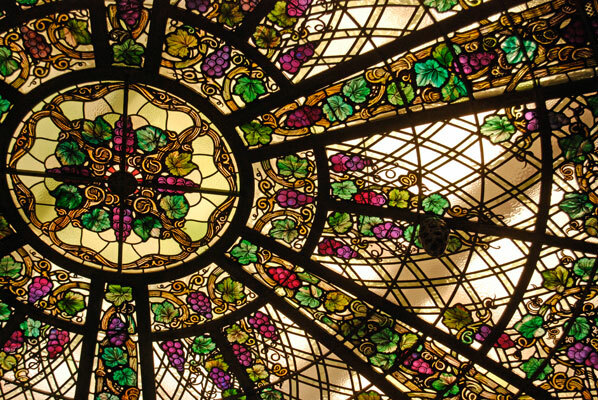 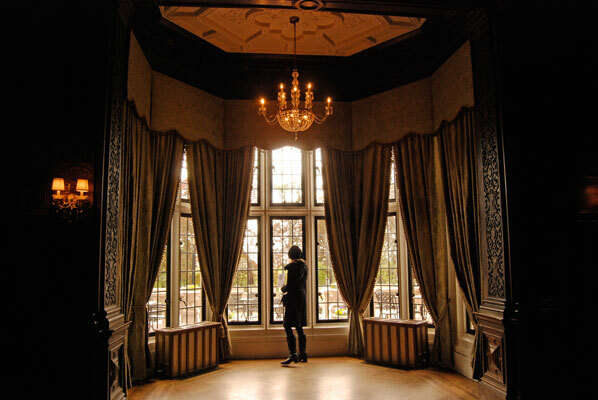 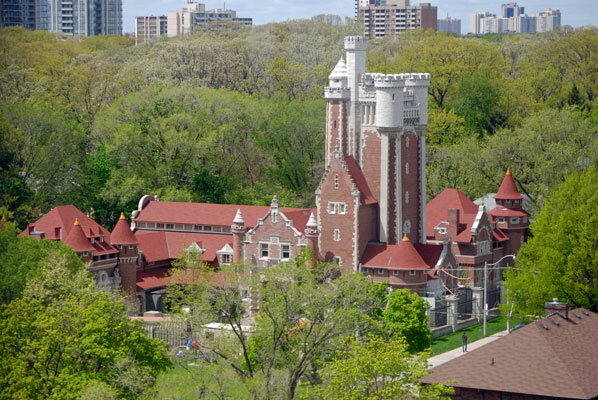 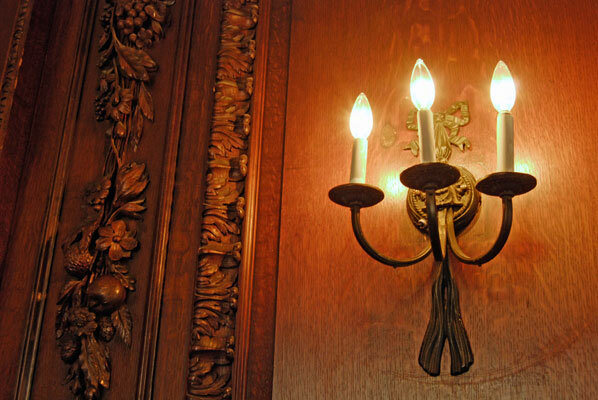 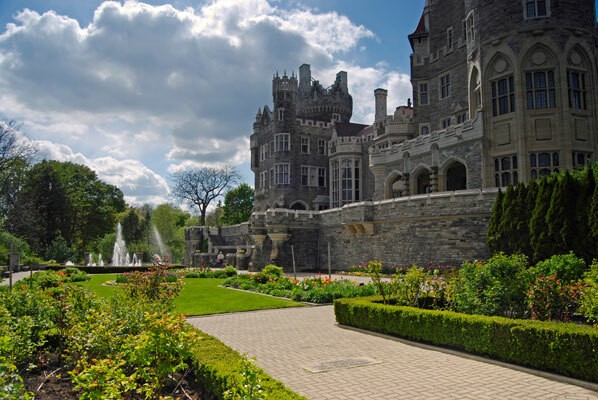 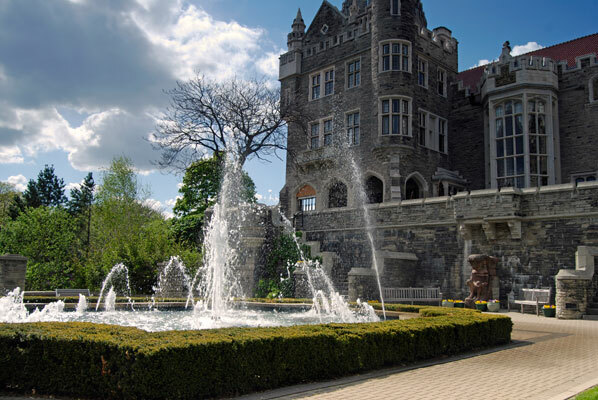 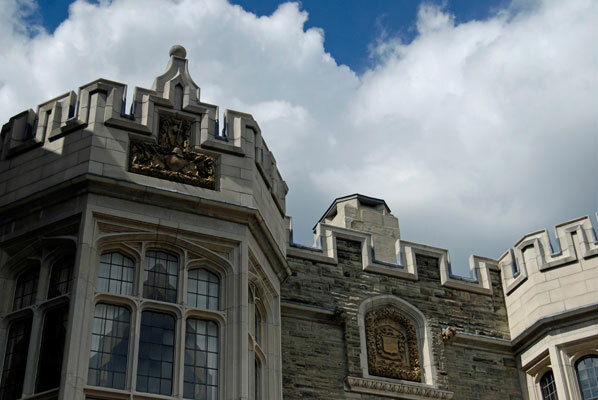 Although built by a wealthy industrialist in the early 20th Century, Casa Loma really does have the feel of an old castle, with its Great Hall, dark wood beams, carved details, and tall windows. 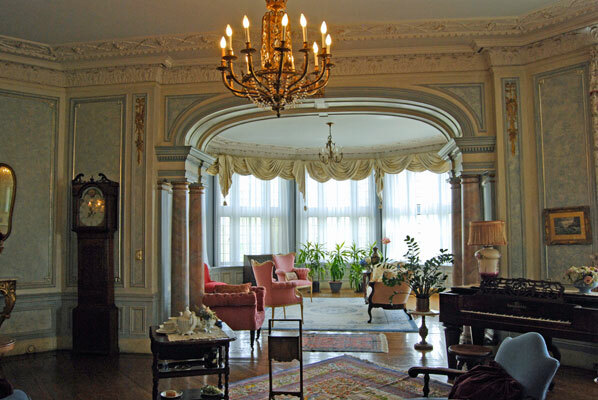 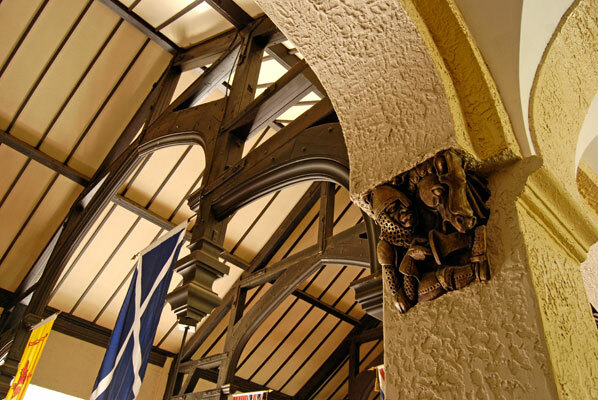 Wandering around the main floor, you discover rooms furnished with period antiques and all sorts of interesting art and sculpture. 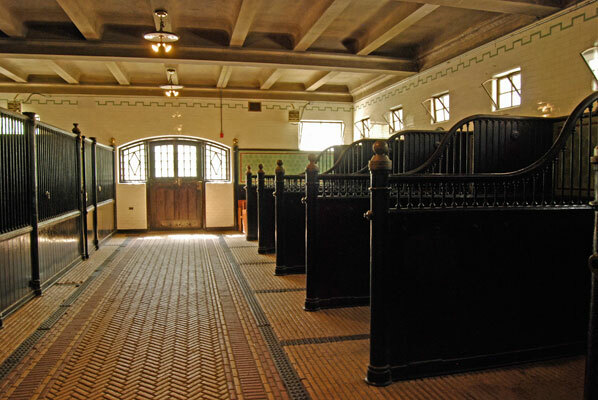 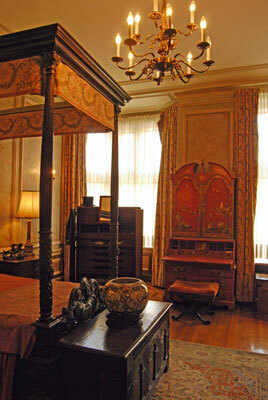 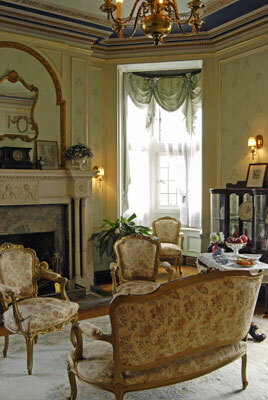 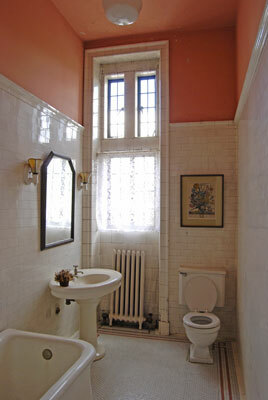 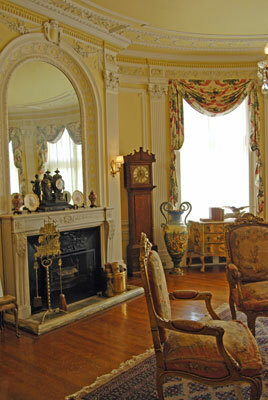 The second floor has bedrooms just as elegant (and some pretty fancy bathrooms too). 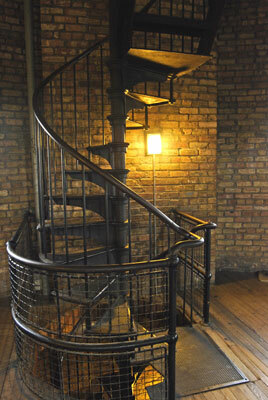 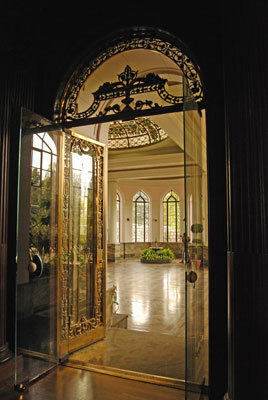 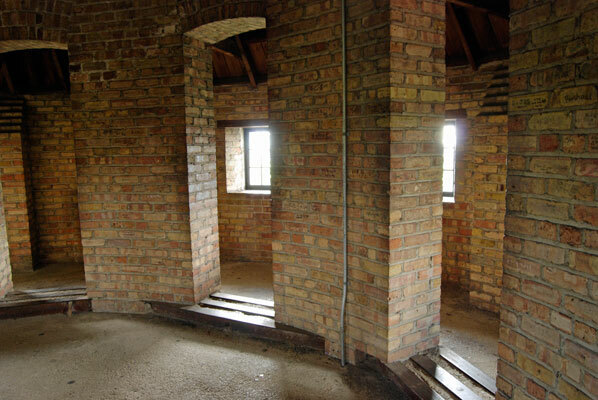 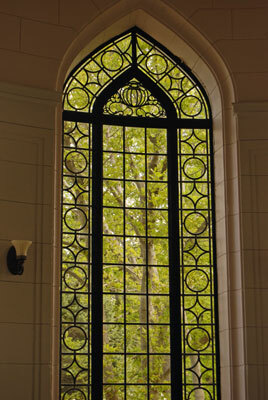 From the hallway of the third floor you can climb up several spiral staircases to a tower for a view of the city through narrow windows set in the thick stone walls. 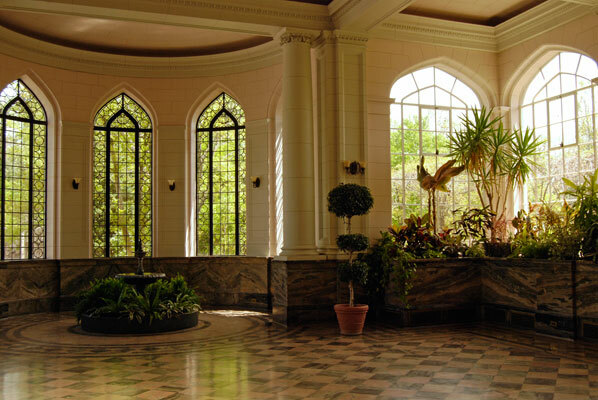 Down at basement level there’s a cafeteria and gift store, where you can pick up an audio guide before you set out. 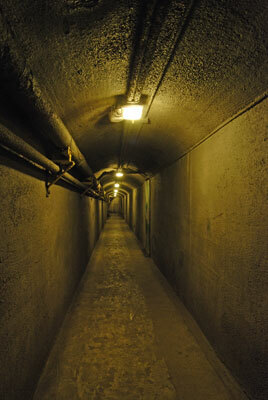 There’s also a spooky tunnel leading out to the potting shed and stables. 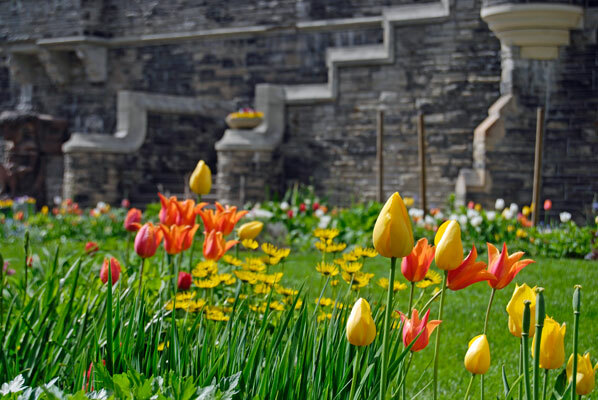 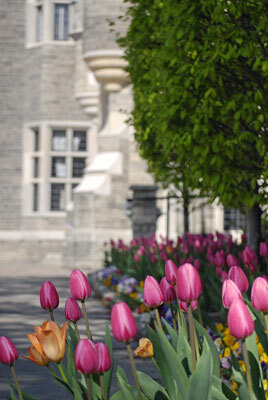 The castle grounds are really beautiful too: lots of flower beds, sculptures and fountains. 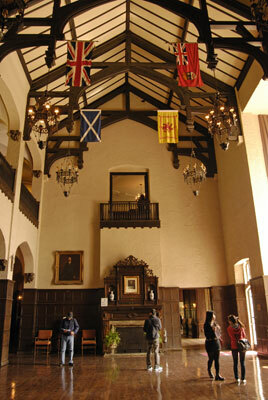 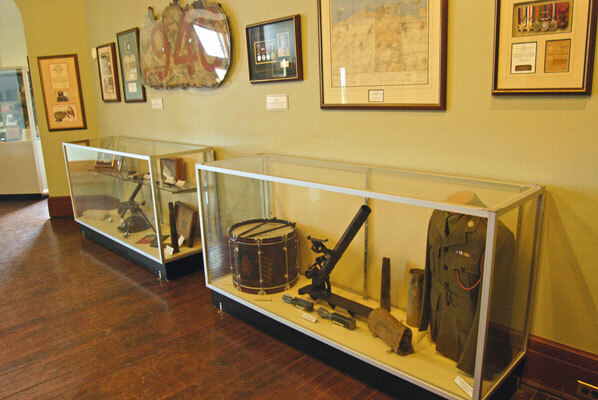 For detailed visitor info, check the website before you go.